Roberto, a native of Chile, moved to the US age at the young age of 17. He started his career in home building in the Washington DC Metropolitan area. For over 15 years Roberto has worked in virtually all areas of remodeling and renovation. 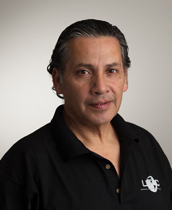 He joined the UDC team in 2013 as a subcontractor and was hired on as part of the full time maintenance staff in 2015.